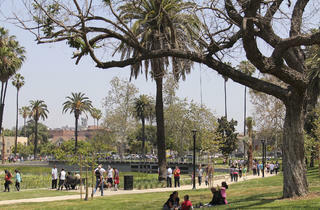 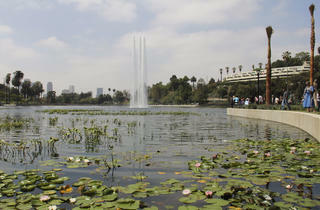 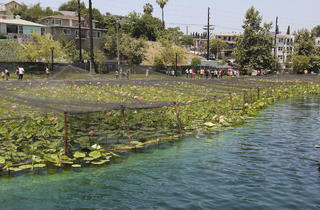 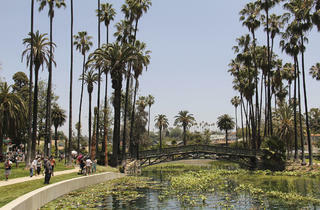 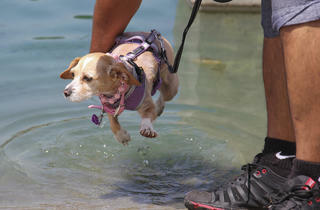 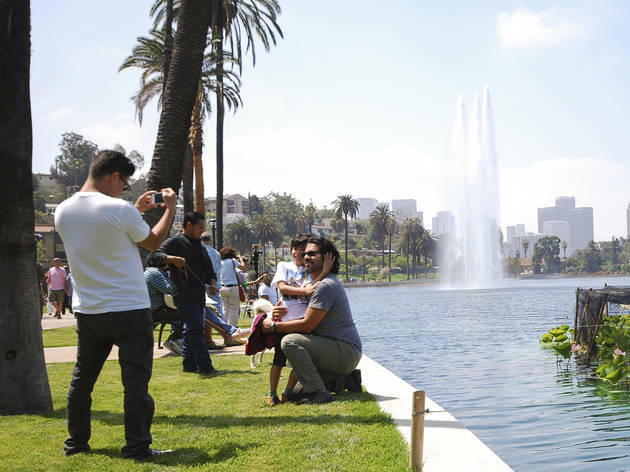 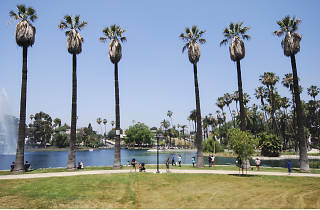 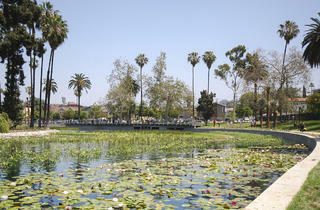 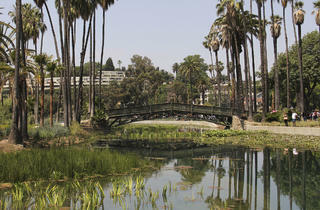 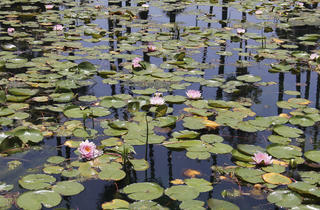 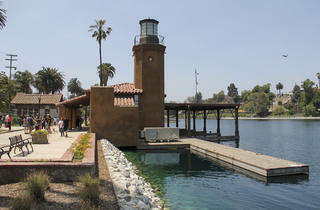 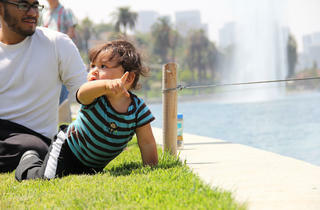 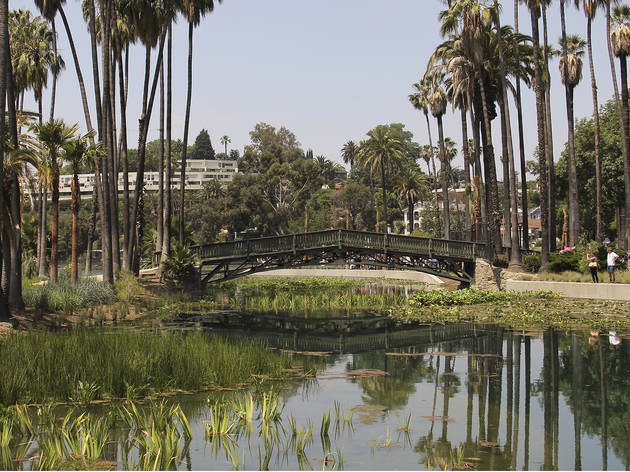 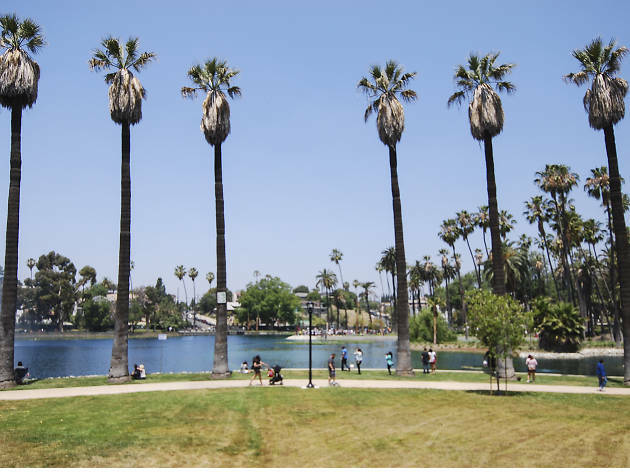 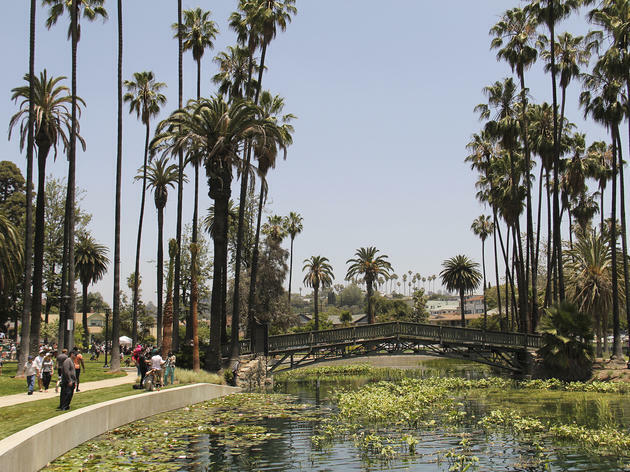 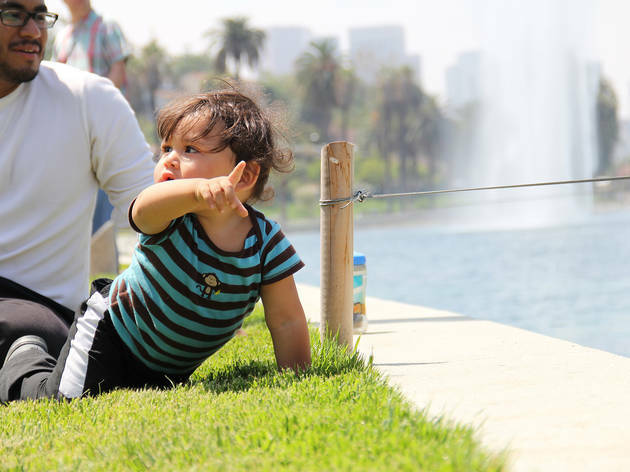 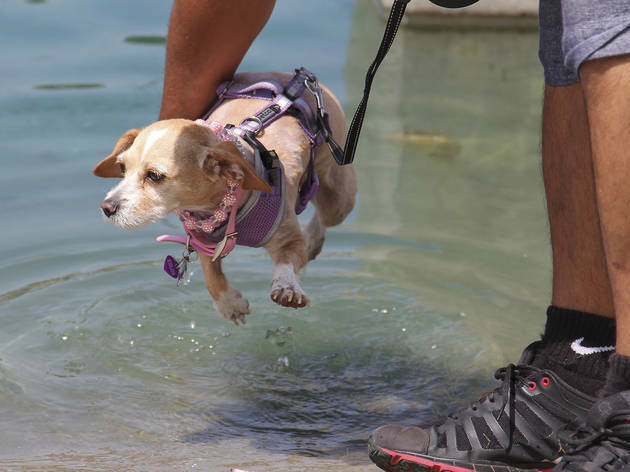 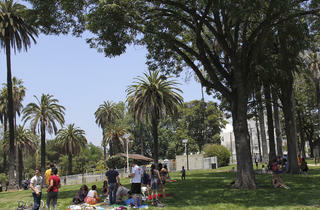 We took a stroll—and some pictures—at the newly renovated Echo Park Lake on reopening day. 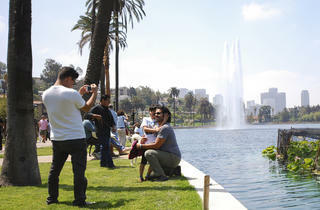 After two years of chain link, dust and bulldozers, the east side's historic Echo Park Lake reopened on Saturday to a most eager crowd. 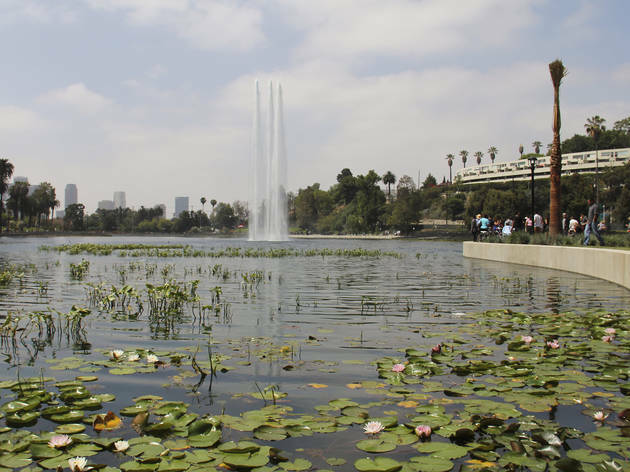 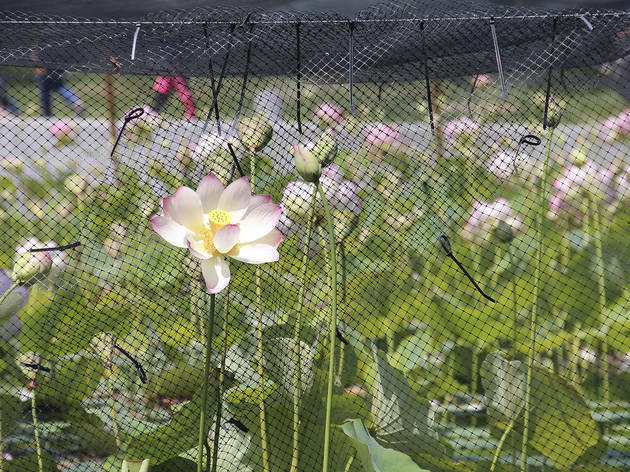 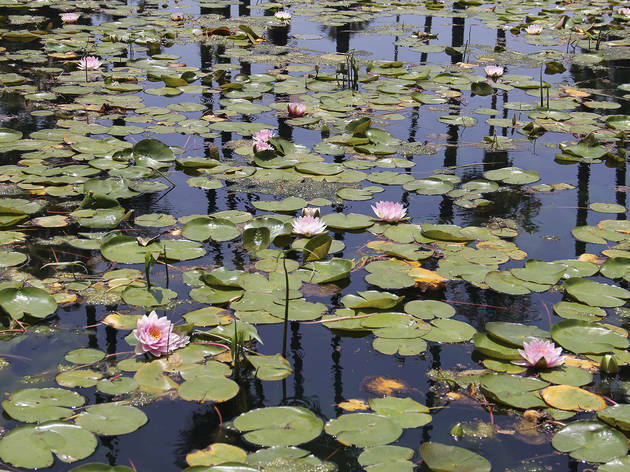 The lake has been around since 1860—it was once used as a drinking water reservoir, and later as a recreational park with canoes, fishing and a floating lotus garden. 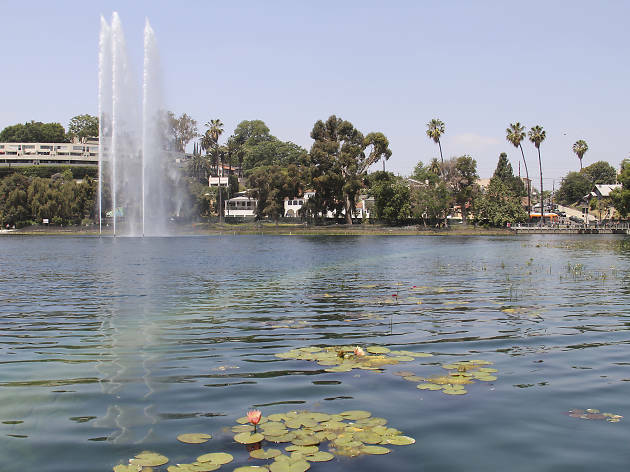 But pollution, bacteria and negligence over the years left the lake worse for wear—with the water a disturbing shade and the park surrounding it a ramshackle and somewhat shady place to be. 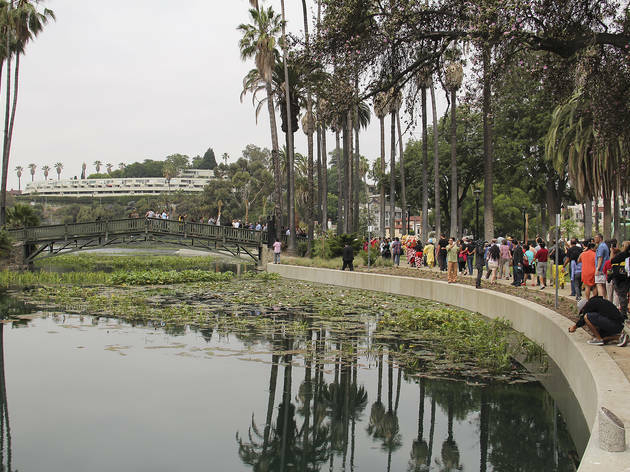 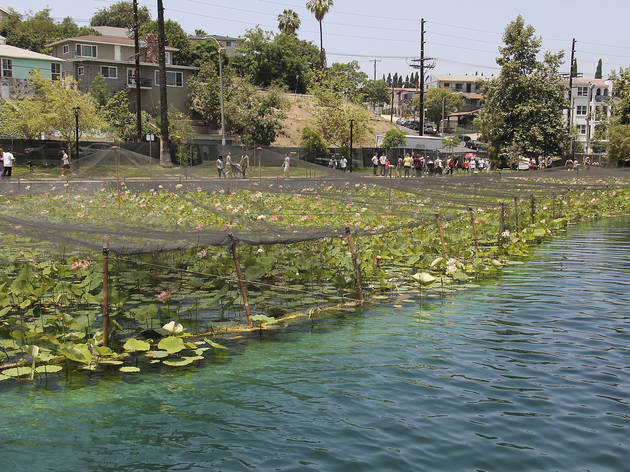 Finally in the spring of 2011, the lake was closed to the public—the park's famous brown goose, Maria, was taken to the LA Zoo—and a $45 million rehabilitation project began. 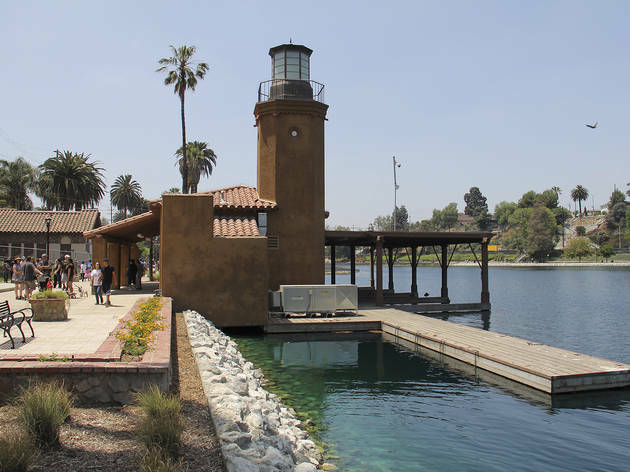 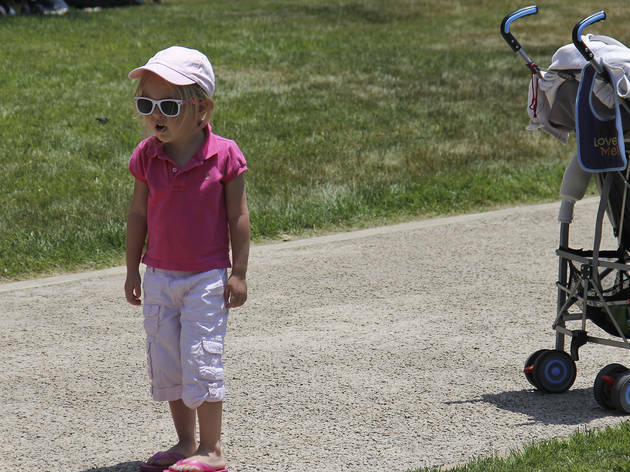 Two years later, a gorgeous park has been revealed, with an updated boathouse, track, lighting and railings, plus new landscaping, picnic tables and grills. 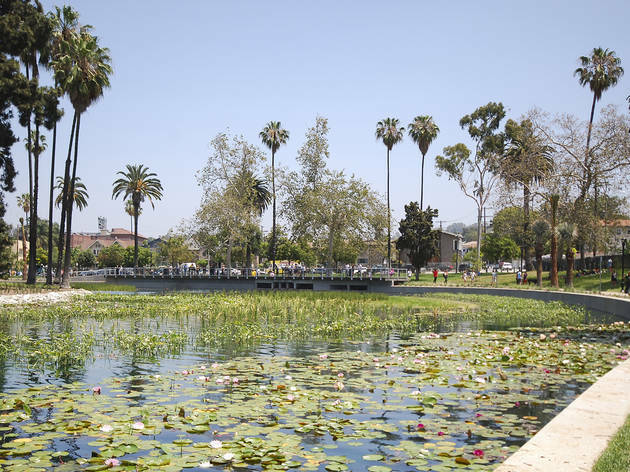 The lotus gardens have been restored—with water lillies added—and the Lady of the Lake statue has been returned to her rightful place, overlooking the fountain. 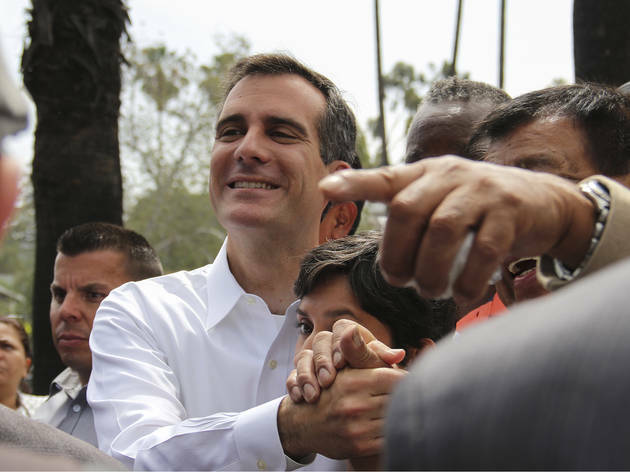 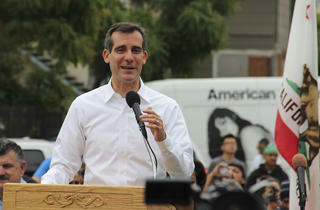 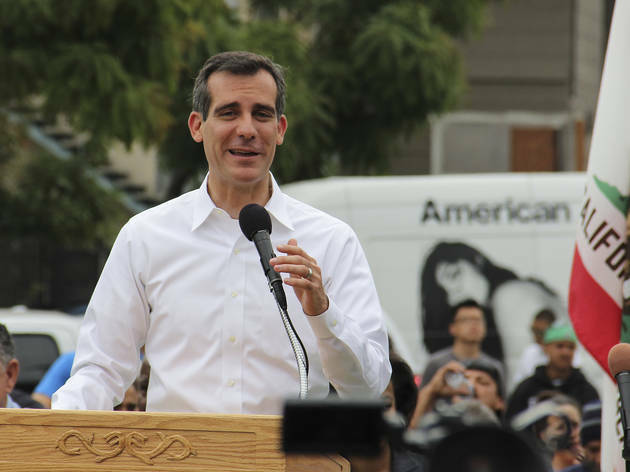 Reopening day kicked off with a few words from mayor-elect Eric Garcetti, plus music and dance performances, ice cream trucks and kids hawking Echo Park t-shirts from American Apparel. 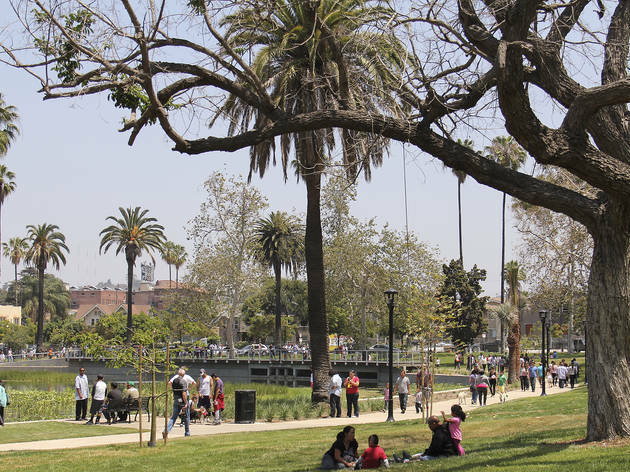 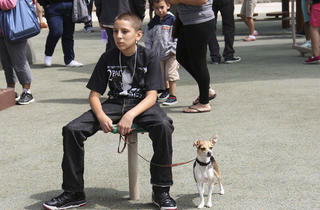 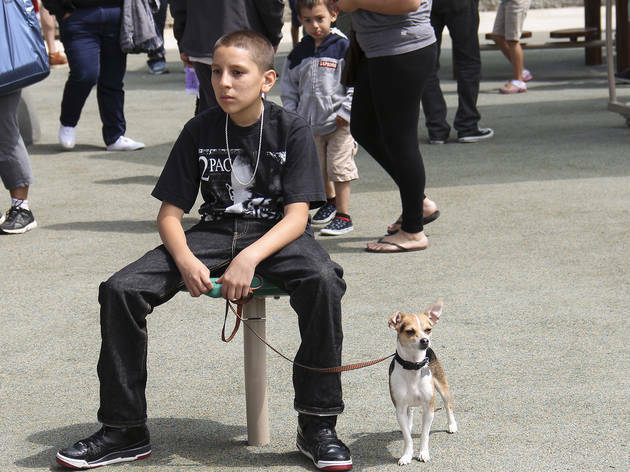 Neighborhood locals awed at the park's makeover while walking the track and sitting in the grass with curious new visitors, some who'd never set foot in Echo Park before. 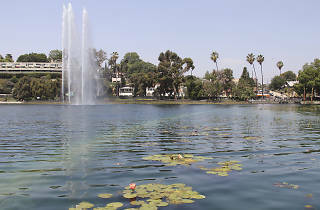 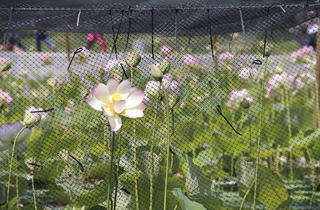 Families picnicked where junkies once cruised, and the lake sparkled (almost too) blue, dotted with white and pink flowers. 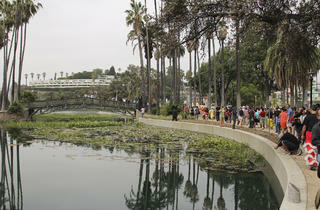 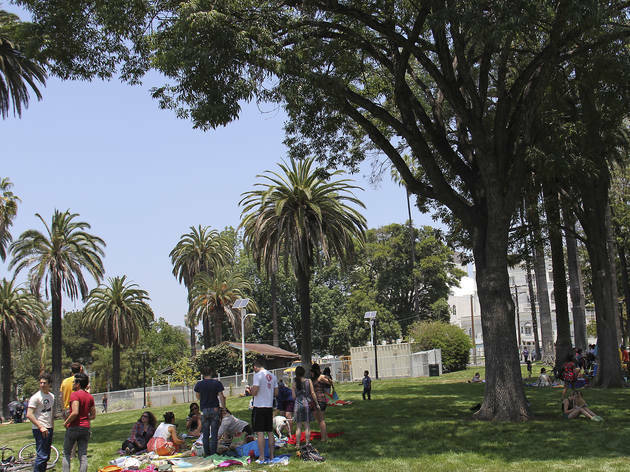 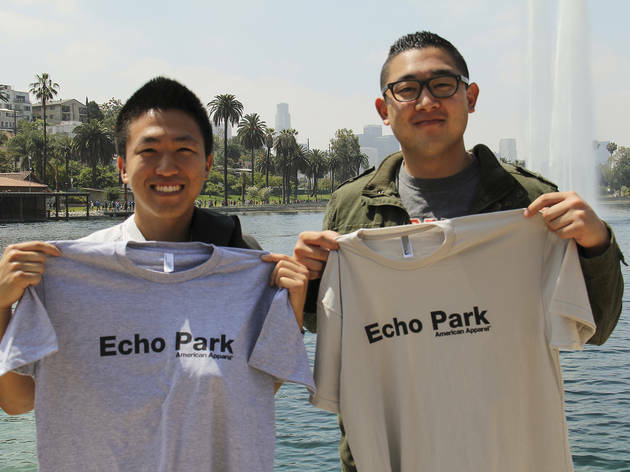 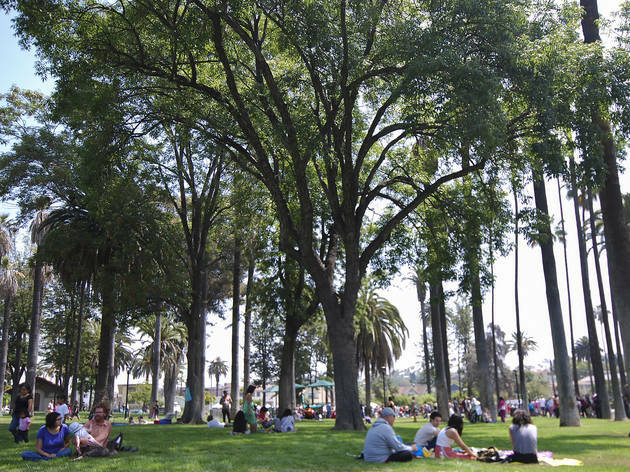 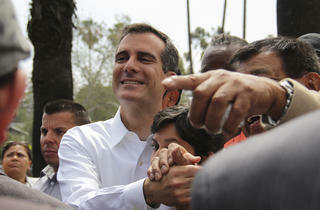 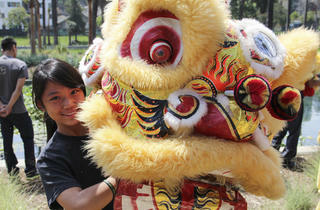 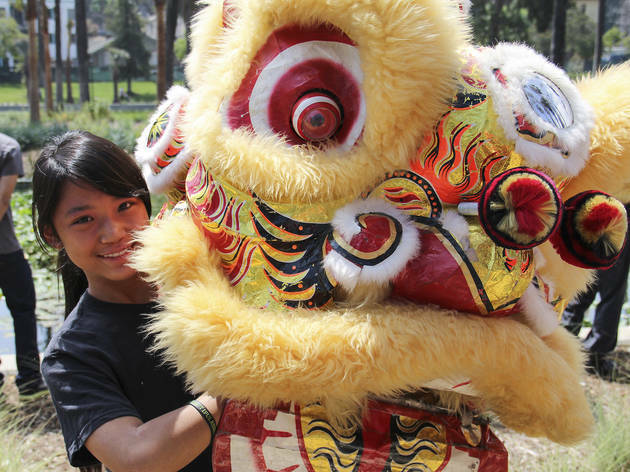 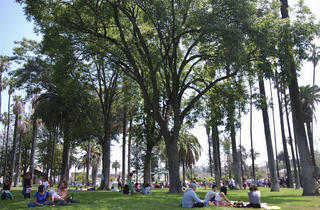 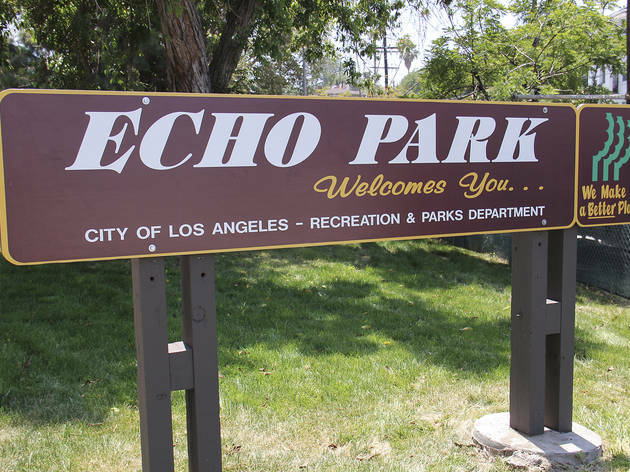 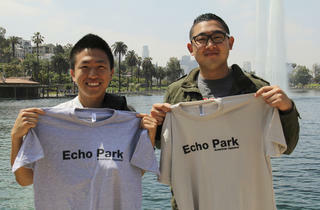 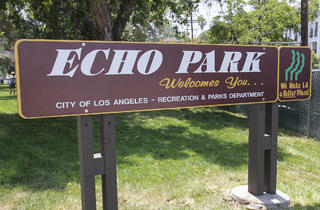 It was a proud moment for Echo Park, which finally has its park back.